Making my own Baileys for a cheaper option. Instead of buying the Baileys, I now opt to make my own. It’s a recipe that I’ve followed for the last almost 10 years after a friend suggested I try it out. Making this recipe is a “one” in difficulty; all you need to be able to do is add ingredients and shake a bottle! You don't need much, honest! Note: For the coffee, you may not be able to find any liquid coffee. If that is the case, use a tablespoon of instant coffee and mix with a small amount of water (about 2 tablespoons), that will give a similar kick to liquid coffee. 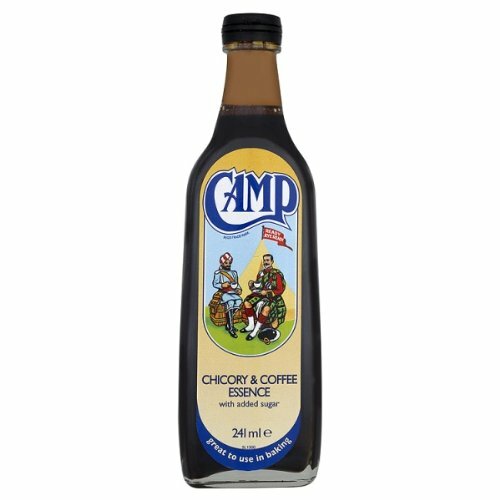 The Camp Coffee is a large bottle. It can seem like a waste to get it for one recipe, so you may want to opt for the granules and hot water. I use my liquid coffee for other baking, including a coffee and walnut cake. Getting the steps in the right order. It's really not hard though! In a jug mix together the single cream, condensed milk, coffee and whiskey and stir together. Make sure the jug is something similar to a measuring jug or you have a funnel to hand. Pour the mixture into a bottle, a washed out soda bottle. Break the eggs into a cup and beat them together. Sieve the eggs into the jug that you have just used for the mixture. Pour the eggs into the bottle. Put the top onto the bottle and shake it vigorously. Place in the refrigerator for about 1 hour until chilled. The measurements are perfect for me, but they came from trial and error. Of course the measurements are just a guide, after trying it you may decide that there's too much whiskey in or not enough coffee. You can also change them to taste. The first time I tried it, I put in half a mug and couldn’t really taste the whiskey. I’ve tried more but it’s overpowered the coffee flavor. I’ve simply found one mug is perfect for me. If you’re not a whiskey fan, rum (especially Malibu) is a popular option for some. You could also try brandy or vodka. 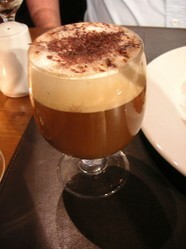 Think about the type of liqueur coffees you prefer when out. 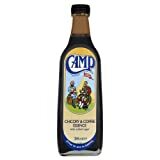 Remember though that this is still an alcoholic drink, and more than likely stronger than most Irish Creams you will pick up in the store; depending on the strength of alcohol you use. Drink responsibly and if you are planning on driving, just don't drink at all. You can make a non-alcoholic version. There are whiskey flavors in stores, or you can opt for a different type of alcohol flavoring, such as rum. What's Your Favorite Bailey's Flavor? I'll admit that I was worried when I first tried it, but I've never had an issue with the raw eggs. That being said, I only keep it in the fridge for a few days and then it is binned even if I haven't drank it all. I think carefully about when I make it and whether it is likely to be finished in time. When I was pregnant, I didn't even make a non-alcoholic version because of the raw eggs though. I'm not sure what it would taste like without the eggs. It could be something worth trying for those who are really worried. I'm just worried about the raw eggs, something we are told to avoid. As the aged aunts are rather fond of Bailey's, if I leave out the eggs I wonder if it will alter the taste too much. What are other's thoughts on this, remembering that the salmonella bug is still considered active in raw eggs. That sounds good too. Thanks. I will be making this for guests. After doing a quick search I did find some whiskey essences still around. Another trick, if you prefer to add Malibu, is to just had coconut flavoring for a non-alcoholic version. I saw it online years ago. I'm hoping it's still there! rum essence is definitely still available as I use it all the time in baking. I love Baileys. And I can make it myself? And non-alcoholic, too? Sounds awesome. I had no idea there was whiskey syrup out there. I hope you enjoy it as much as I do, Jeanette. You're welcome Paula and Sheri. Hope you both enjoy the drink. I'm hoping to get my own picture of it tonight--maybe tomorrow--and will update this when I do. Thanks for pinning, Sherri; hope your followers enjoy it too. Thank-you thank-you thank-you. I have wanted to know how to make this and just never bothered looking around and here you put it in my lap. I love this drink. I just pinned this article.